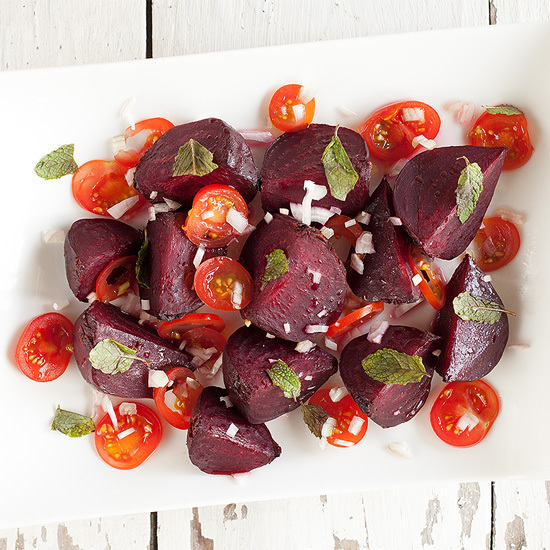 Roasted beets and tomato salad is such a beautiful summer dish. Great as a starter or as a side dish for any barbeque. Ready in half an hour. PRE-HEAT your oven to a temperature of 375 degrees fahrenheit or 190 degrees celsius. WASH the tomatoes and mint leaves to rid them of any dirt. FINELY slice the tomatoes and refrigerate. PEEL and finely chop the shallot. SQUEEZE the juice from 1/2 lemon, we’re going to use this after baking the beets. LINE your baking tray with parchment paper. CUT the red beets into quarters and transfer them onto the baking tray. You should have 12 quarters, arrange them in such a way that there’s enough space between each quarter. 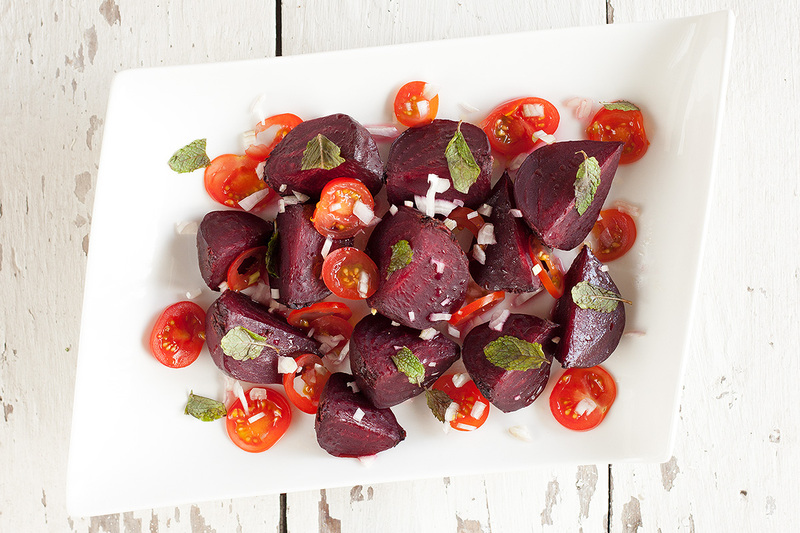 DRIZZLE extra-virgin olive oil on each red beet quarter and season with freshly ground sea salt. It’s up to you how much salt you want to use. If you’re using pre-cooked red beets you only need to bake them in the oven for a minute or 10, since they only need to heat up. When using raw beets, bake them for about 35 minutes, or until tender. FOLD tin foil over the baking tray, crimp the edges to seal it. After baking them, transfer the beets to a nice big bowl or plate. DIVIDE the tomato slices over the roasted red beets. 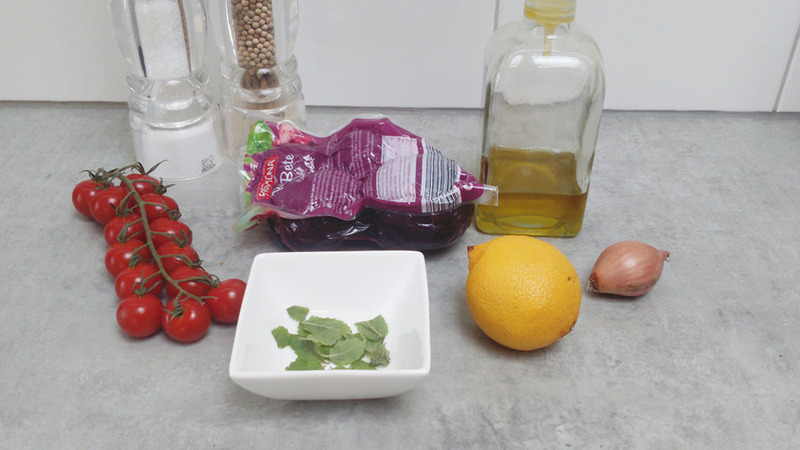 DIVIDE the chopped shallots onto the roasted red beets and tomatoes. SPRINKLE juice from 1/2 lemon over it along with the mint leaves and finish by adding a little bit of salt and pepper to taste. Enjoy!